There is a major difference between being a professional dog sitter and hanging out with a friend’s pet. While there will be play time and cuddles (if that is what your pet likes), a dog-sitting service will know that there is more to be done than provide the animal with company. A dog sitter will be expected to walk your animal so they get fresh air, can sniff as many trees and bushes as they’d like, and get a healthy dose of exercise for the day. Feeding is also important—especially if your pup is on a feeding schedule—so a pet sitter will need to know what and how much to feed them. In addition, the less glamorous part of the job is cleaning up after your pet. If you don’t have a big backyard for your dog to run around in, it’s most likely that the dog sitter will take them to a park or field where they can run and do their business. Someone with experience caring for animals versus just keeping them company will know it’s much more involved than most people would think. And let’s face it; you want your dog to get the best. If you have more than one pet, a dog sitter should be able to balance their needs equally, providing adequate playtime, attention, and fresh air for each pet. Someone with less experience may not be able to handle numerous pups with varying personalities. A professional dog sitter will be able to manage the chaos and excitement of multiple pets in a way that gets all their needs met. There is an immense responsibility when caring for someone else’s pet. Much like caring for someone’s child, you have to ensure that a dog sitter knows what needs to be done and can accomplish it. For pet owners who have very active dogs, but due to work or prior commitments can’t have a hand in giving their pet the activity they need, a dog sitter is a great option. They can work off your pup’s energy, which is important for breeds that need the extra stimulation. Being an animal lover doesn’t automatically make someone an expert. A person who has spent ample time working with animals knows when they need you and when they want to be left alone. Forcing interactions on a pet doesn’t build trust, and it will make them feel scared. 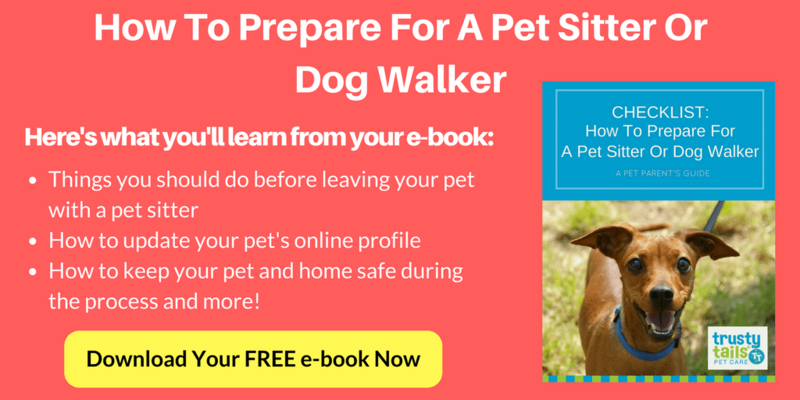 A dog sitter with experience can gauge when your pet wants space and when they want attention. If you’re a pet owner who would love to spend as much time as possible with your pet, but due to career or family demands can’t, a dog sitter is a great option. They can provide your pup with all the love and attention they deserve while you’re gone—and when you get back, you will have your dog at his best. If you have any questions about hiring an experienced dog sitter, contact our team today.